Based on the clas­sic sto­ry and fea­tur­ing a thrilling score of pop rock hits from mul­ti-Gram­my- and Tony-nom­i­nat­ed Frank Wild­horn and dou­ble-Oscar- and Gram­my-win­ning Leslie Bricusse, Jekyll & Hyde has mes­mer­ized audi­ences the world over. An evoca­tive tale of two halves of one man and two pro­found­ly unique women who love him. 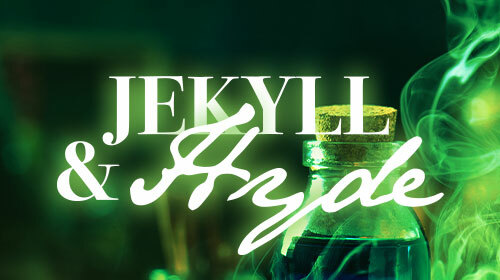 Jekyll and Hyde is pre­sent­ed through spe­cial arrange­ment with Music The­atre Inter­na­tion­al (MTI).